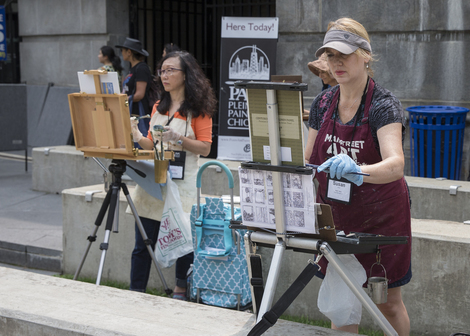 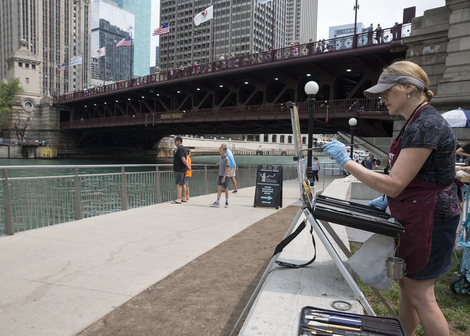 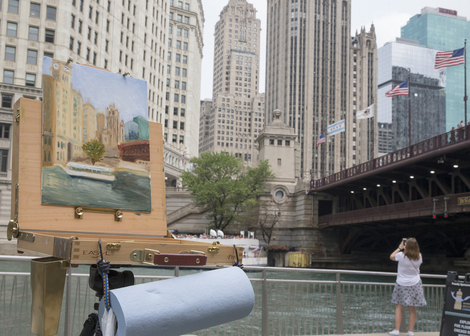 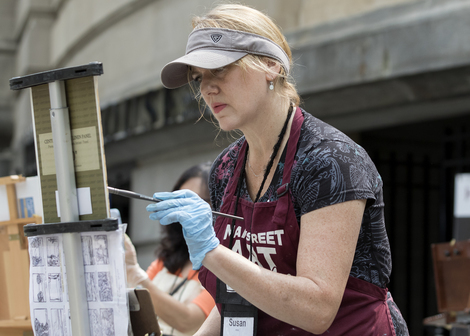 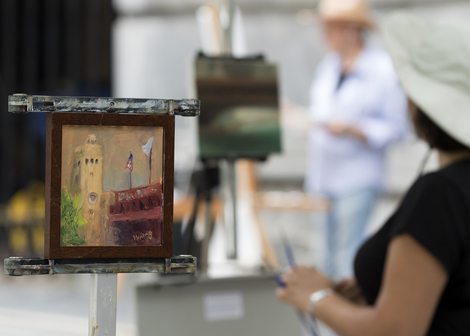 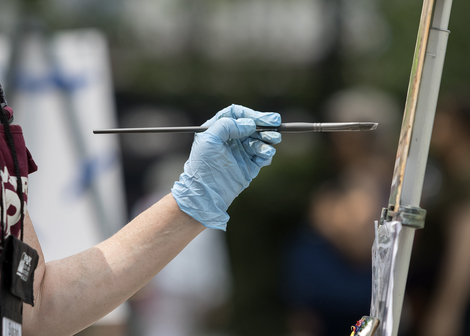 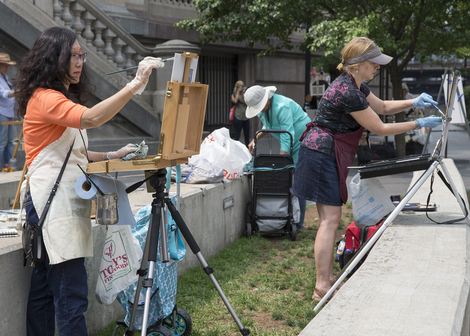 A couple dozen painters set up their easels along the Riverwalk downtown on Saturday Aug. 18 from 8 a.m. to noon to produce artwork inspired by the Chicago River. 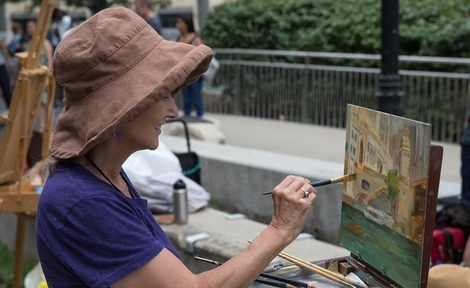 The approach of painting "in the open air" to take advantage of the natural light was particularly popular in the mid-19th Century and has once again enjoyed a resurgence in popularity. 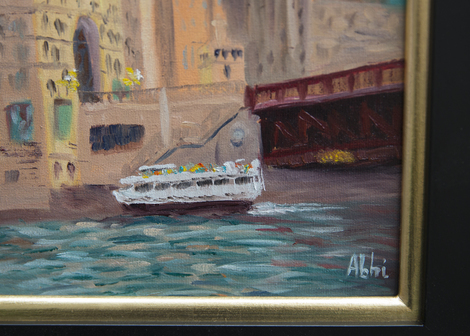 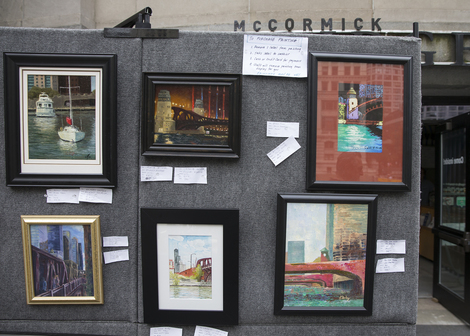 Some of the artwork is on display at our McCormick Bridgehouse & Chicago River Museum at the southwest corner of Michigan Avenue and Wacker Drive on the Riverwalk through September and available for purchase. 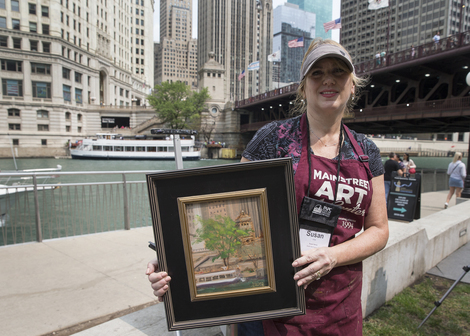 A portion of the sale price goes back to the museum...so you can get a great piece of art that illustrates your love of the river and help out an institution that teaches people all about its history and value. 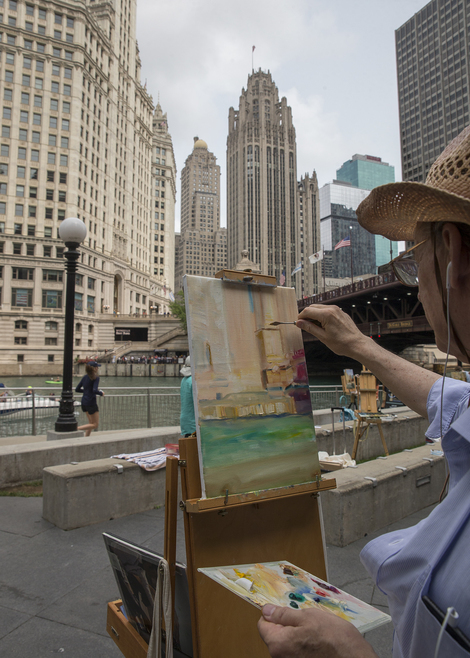 Thanks to Bruce Bondy of the Plein Air Painters of Chicago organization, the Chicago Sun-Times for the pre-show publicity, and ABC7 for coming out and covering it. 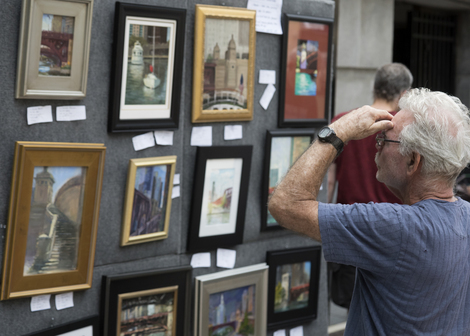 Check out these fabulous photos by Ryan Thompson.